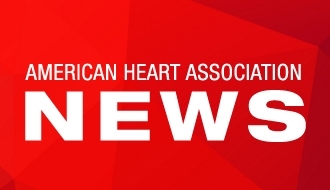 DALLAS, June 13, 2017 – The American Heart Association (AHA), the world’s leading voluntary health organization devoted to fighting cardiovascular disease, teams up with actor-comedian Wendi McLendon-Covey to save lives. In a new Hands-Only CPR training video, produced with the support of the Anthem Foundation, the philanthropic arm of Anthem Inc., McLendon-Covey makes certain viewers will always remember the two simple life-saving steps. The project, titled “The Mix-Up,” is directed by Emmy-nominated screenwriter and filmmaker Andy Tennant, whose film credits include Hitch and Sweet Home Alabama. Academy Award™-nominated producer James Keach, whose film credits include Walk the Line and I’ll Be Me in conjunction with CK&D media, produced the spot. The video is an entertaining parody of recent award show mix-ups and is filled with clever, recognizable references to inform viewers about an important skill. Hands-Only CPR has two steps, performed in this order: when you see a teen or adult suddenly collapse, call 911. Then, push hard and fast in the center of the chest until help arrives. More than 350,000 cardiac arrests occur outside of the hospital setting each year. Hands-Only CPR has been shown to be as effective as conventional CPR for cardiac arrest when it occurs at home, at work or in public. It can double or triple a victim’s chance of survival. Additionally, approximately 70 percent of all out-of-hospital cardiac arrests occur at home. Yet, the chances that a loved one will perform CPR on a person who has an out-of-hospital cardiac arrest at home decreases with the victim’s age, according to a recent study in the Journal of the American Heart Association. The study also shows that CPR training and knowledge is lower among older adults, who are more likely to experience a cardiac arrest outside a hospital. Before directing the project, Tennant knew how to perform CPR. However, the importance of knowing the skill became even more significant after doctors diagnosed his college-aged son with a life-threatening heart condition two years ago. His son came down with what he thought was the flu during his mid-term exams, so he went to the campus medical center where staff treated him. Doctors implanted a defibrillator in his son who is now doing well and continues to get treatment. Working on the AHA video was even more meaningful to Tennant in light of his son’s condition. "In the U.S., there is a growing population of older adults who need to know the life-saving technique, but it's also important for their family members who often serve as their caregivers," said Craig Samitt, MD, chief clinical officer at Anthem, Inc. "We want to help bridge the gap in CPR training particularly for the older adult population as the median age of out-of-hospital cardiac arrest is 65 years old. This video uses humor as a tool to engage people about a serious topic that impacts so many, but the takeaway will be memorable for all generations who learn this life-saving skill." 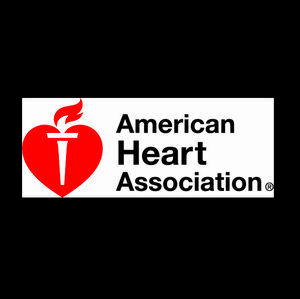 In 2009, the AHA launched a nationwide Hands-Only CPR campaign to raise awareness about this life-saving skill. The campaign is supported nationally by an educational grant from the Anthem Foundation. Since 2012, nearly 9.7 million people have been trained in Hands-Only CPR via events, Hands-Only CPR training kiosks and video education with the Foundation’s support. The video is being released on AHA’s website, www.heart.org/HandsOnlyCPR. To learn more about the Hands-Only CPR campaign and be prepared to save a life, visit heart.org/handsonlycpr or facebook.com/AHACPR.